VOIDS. The Galway indie-electro duo play Citóg on December 10. CITÓG, THE Galway music night which supports original, emerging, and alternative rock, pop, electro, and folk artists, returns in December for a second instalment of Wednesday night gigs at the Róisín Dubh. Floor Staff have played Hard Working Class Heroes and the Electric Picnic. Anthony is currently working on his debut album, due for release next year. Support is from Galway indie-rock band Canaries and singer-songwriter Stephen McLoughlin. The December 10 gig will be a feast of some of the most exciting electronic music currently being made by Galway and Irish acts with sets from Nanu Nanu (pictured below ) and VOIDS. 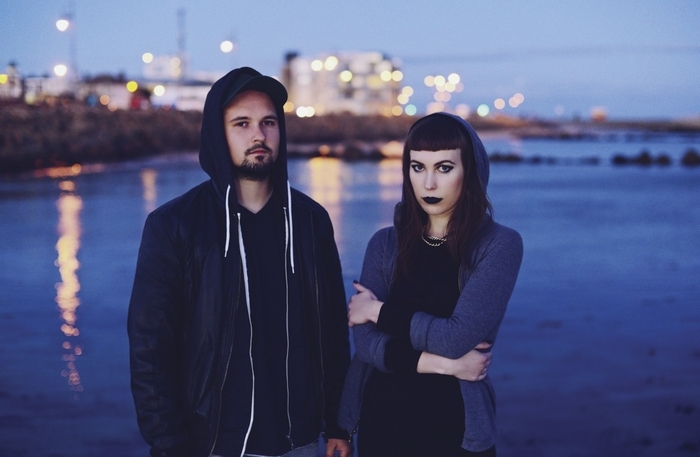 Electro-pop/multimedia duo Nanu Nanu - Glitterface (Galway vocalist/composer Laura Sheeran ) and Mirrorman (BellX1 synth ace Marc Aubele ) - describe themselves as ‘Alien Pop’. Costumes, fluorescence, lights, and effects combine excitingly with their music to create a stunning on-stage effect. Check out their debut album Unit 1, which Today FM’s Paul Mcloone called “bold, inventive and occasionally startling electronic pop. Resistance is futile”. Support is from dream-pop singer-songwriter Maija Sofia. The third Citóg night on December 17 sees a change of pace towards more roots and folk-rock based music with Felix Sonnyboy and A Band Called Wanda. Support is from The Bluebirds, a Galway vocal harmony trio of Laura Lynn, Jenny Groarke, and Lorraine Flanagan, who are also working with acclaimed County Galway singer-songwriter Ultan Colon and his band. Doors for all gigs is at 8pm. Admission is free.